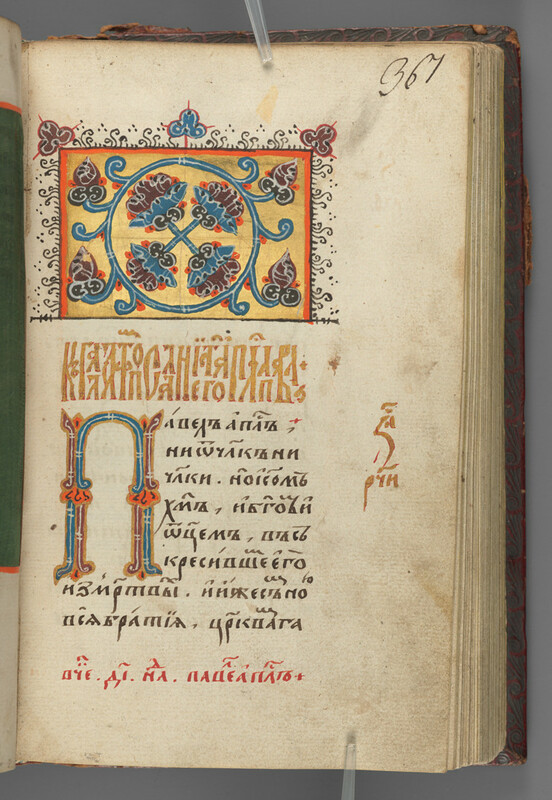 This bible’s Russian Church Slavonic text is written in semiuncial Muscovite bookhand, with red vjaz’ (ligatures) and initials, and gilt headpieces, mostly in neo-Byzantine style. This page shows the beginning of Paul’s Epistle to the Hebrews, which is marked by a decorative initial letter. 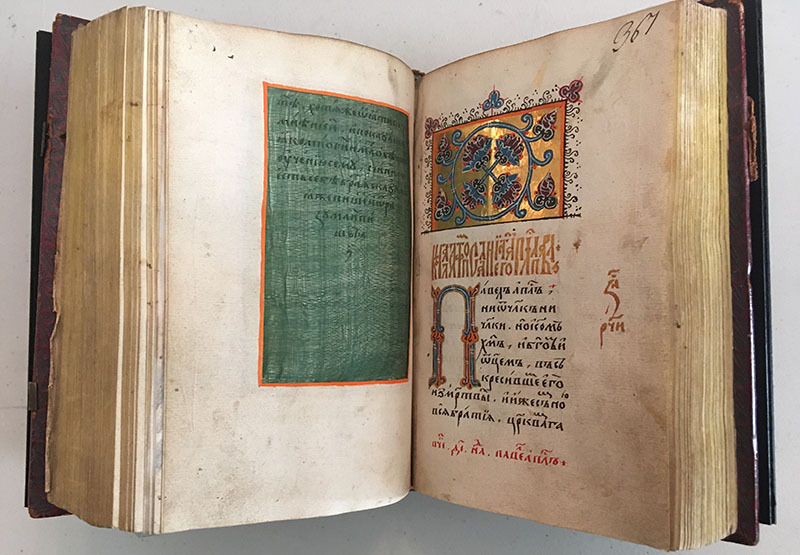 The book’s most distinctive feature, however, is the protective piece of silk on the opposite page. 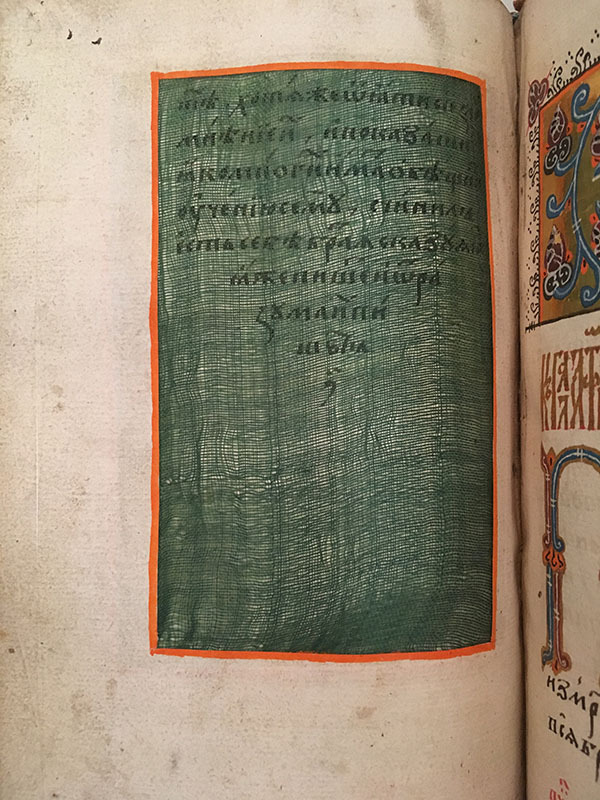 Only three other copies of sixteenth-century Slavic liturgical books from Moscow with silk inlays are known at present. In the medieval Byzantine Empire silk was not only a luxurious import commodity, it was considered sacred and valued more than gold. By the late 1550s, Russia started producing its own silk fabric. Perhaps this accounts for a wealthy, cultured and pious Muscovite merchant being able to afford it for decorating his bible.